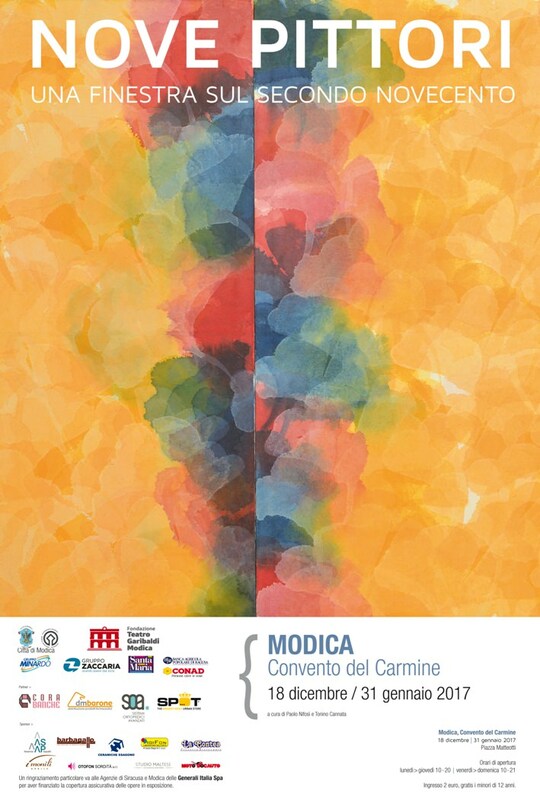 Nine artists who represent pictorial art of the second half of the last century are exhibited from 18th of December until 31st of January at the convent del Carmine di Modica, in Piazza Matteotti. Artists include: Davide Benati, Attilio Forgioli, Alberto Gianquinto, Piero Guccione, Frances Lansing, Titina Maselli, Franco Sarnari, Ruggero Savinio e Claudio Verna. Curators: Paolo Nifosì, Tonino Cannata (Catalogo Salarchi Immagini, texts by Paolo Nifosì e Giuseppe Frazzetto). Works exhibited are all properties of Sicilian Collectors in Ibla. This entry was posted on 02:53 AM at 02:53 AM	and is filed under current_shows. You can follow any responses to this entry through the RSS 2.0 feed. Both comments and pings are currently closed.